With Thanksgiving happening tomorrow I figured a few of us procrastinators may have not considered how to decorate their table. It's really easy to put together an elegant table no matter how big or little. Actually, last night I worked on setting my own table up for a small size of four attendees. I've rounded up a few other ideas below for you to view as well as a few tips! For a modern aesthetic look for items like white pumpkins, antlers, and rose gold touches. Remember to keep a table have a simple clean aesthetic less is more. Also, a monochromatic table makes a big difference in keeping a simple feel. 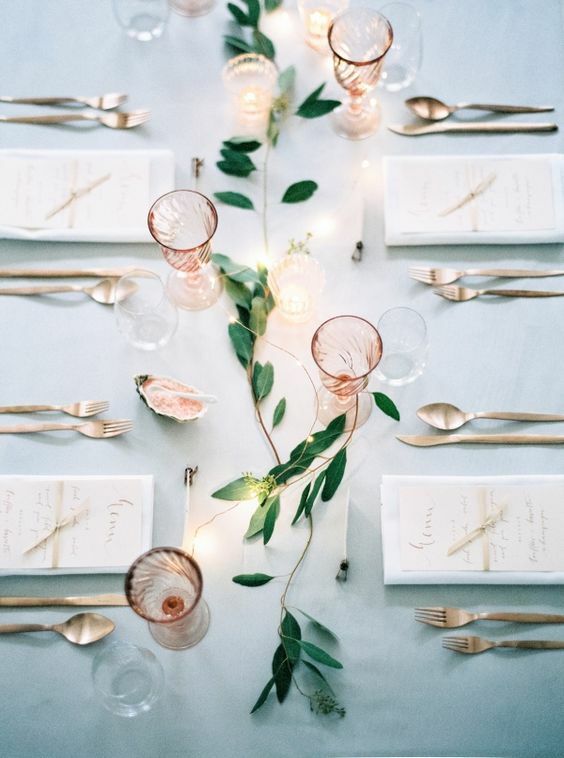 Utilize copper, leaves or small items down the center of the table. Finally, you can't go wrong with white plates and napkins. To create a more opulent table think about layers. 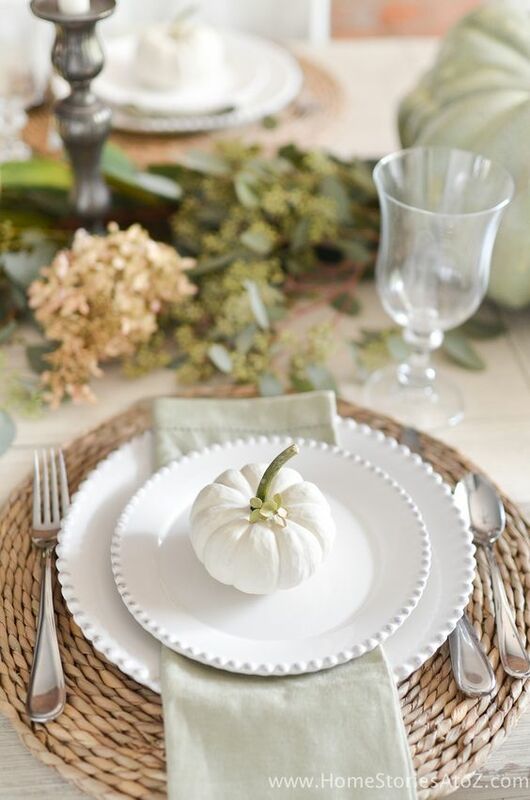 You'll want to utilize linens, place mats, and a couple of plates. Crystal glasses also add decadence to the table. For the center piece you really can't go wrong with flowers. I really like the look of classic roses, peonies, or beautiful hydrangeas. A natural setting is easier than you think to create. Start with items found right from nature like wheat stalks, fruit or various shapes and colors of gourds. A rustic bare table provides a perfect backdrop for these items. You can also use more casual linens or greenery as table runners.